West Ashley is home to three of Charleston's plantations, including Middleton Place. You'll also find plenty of shopping, restaurants, an indoor mall and a new IMAX theater. West Ashley is one of the most affordable areas to live within Charleston County and it is close to downtown and Folly Beach. West Ashley is a great area for buyers who want the lower home prices of the suburbs located further inland but don't want to sacrifice location in order to get the home they want. 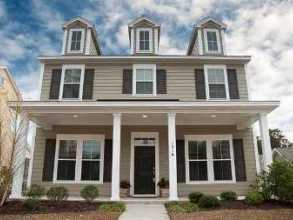 Looking for specific features in a West Ashley home? You can search all Charleston area home listings or try our customizable search feature that lets you find homes based on property type, size, year built, and many more options! West Ashley real estate can be divided into two categories: old West Ashley (which is located just over the Ashley River bridge from downtown) and new West Ashley (located outside of Hwy 526). Most of the real estate in this newer area is new construction homes in planned communities with full amenities such as pools, tennis courts, parks, and walking trails. Real estate in old West Ashley is just a few minutes' drive from downtown Charleston and has older communities with smaller, charming brick homes. These older houses often need updating, but they offer a style and quality of construction that is hard to find in new homes today. West Ashley gets its name because it's the Charleston suburb located directly west of the Ashley River, which runs along the west side of the Charleston Peninsula before it empties into the Atlantic Ocean. West Ashley is one of the closest suburbs to Charleston. You can reach downtown within minutes from old West Ashley, and most homes in the newer West Ashley section are about a 20 minute drive. The closest beach, Folly, is 15-25 minutes away. Although West Ashley has several large chain grocery stores like Harris Teeter, you'll also find the smaller Earth Fare chain, which specializes in organic and natural foods. Several other stores in the South Windermere shopping center are also dedicated to healthy living, such as Urban Nirvana and the Holy Cow Yoga Center. Here you'll also find the West Ashley branch of the Charleston Public Library. West Ashley has plenty of good restaurants to choose from, most of which are independently owned or small, local chains. Some of our favorites include Red Orchid's China Bistro, Sesame Burgers, Boxcar Betty's, Mellow Mushroom, and the Kickin' Chicken. There are also several great chains, like Five Guys Burgers, Chick-fil-A, Firehouse Subs, and Moe's Southwest Grill. The Citadel Mall is one of the few indoor malls in Charleston, and it has stores ranging from Target to Belk to Bath and Body Works. 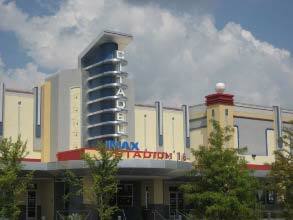 The new IMAX Stadium 16 theater is also just across from the mall. 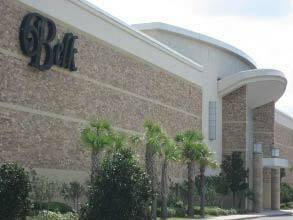 It shows all of the big blockbusters and is one of the nicest and largest movie theaters in tri-county Charleston. This section of West Ashley is mostly commercial, and you'll find more stores like World Market, Barnes and Noble, and T.J. Maxx all within a mile's drive of the Citadel Mall. 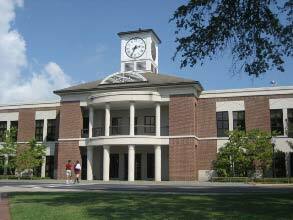 One of the best private schools in Charleston, Porter-Gaud, is located off Albemarle Road in the older section of West Ashley. The school has produced outstanding leaders, including perhaps the most notable of their alumni, Stephen Colbert. Porter-Gaud is an Episcopal, co-ed school with over 100 years of experience in Charleston and just under 1,000 students enrolled in grades 1-12. The school is also notorious for placing graduating seniors with some of the top colleges and universities in the country. Several West Ashley neighborhoods are located within walking distance of the school, including The Crescent, South Windermere, and Albemarle Point. West Ashley has several great parks scattered throughout the area. The best one is probably West Ashley Park (pictured right), located off Glen McConnell Parkway. 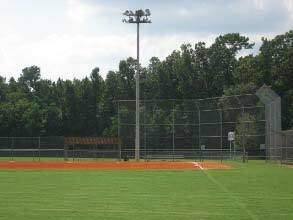 You'll find several soccer fields, a playground, a grilling and picnic area, walking trails in the woods, and 2 baseball and 2 softball fields. The park is a great place to spend an afternoon, and it also hosts soccer leagues year-round. West Ashley also boasts an 8-mile long greenway. Many home buyers look for real estate near this greenway so that they can have easy access for running, biking, or walking their dogs. Charleston's mayor has recently announced plans for more parks to be built in West Ashley which will provide even more outdoor options to residents. Middleton Place is one of the most popular plantations in Charleston and has been filmed in movies such as The Patriot. Today, only one building remains of the three that were originally built overlooking the Ashley River. This South Flanker house (pictured) is open for tours but was actually used as a gentleman's guest quarters when it was built in 1755. The other two buildings (the main house and a library/conservatory) burned down in 1865, just two months before the Civil War ended. After the fire, the Middleton family moved into the South Flanker and lived there until the house was turned into a museum in 1975. In total, the Middleton family lived on the rice plantation for over 300 years. Magnolia Plantation and Gardens was founded in 1676 by the Drayton family. During the Revolutionary War, the plantation was occupied by both British and American troops. After the Civil War, the plantation's focus shifted from agriculture to the gardens, which helped keep the plantation afloat during great shifts in the economic restructuring of the South. The gardens were opened to the public in 1870, making them the oldest public gardens in the United States. Magnolia Plantation has also been recognized for the educational programs associated with the slave cabins, having won awards two years in a row for the preservation of its cabins. Drayton Hall Plantation stands out as a preservation icon, which is remarkable in a city like Charleston that's known for its historic preservation. Construction for the home began in 1738, and it housed seven generations of the Drayton family. In 1974 the home was sold to the National Trust for Historic Preservation, which has kept the house in near-original condition. Even modern conveniences like running water and electricity have never been added. 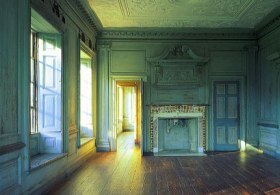 While most of the historic homes open to the public boast about silver or art collections that reflect the grandeur of the time, Drayton Hall has taken a different approach that showcases the details of the home (such as paint and mouldings) as they were originally made instead of altering or refurbishing. The house is also the oldest Georgian Palladian architecture in the country that is still intact. 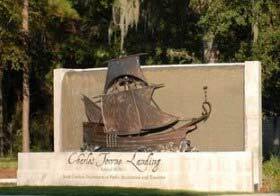 Charles Towne Landing was the first permanent European settlement in South Carolina. 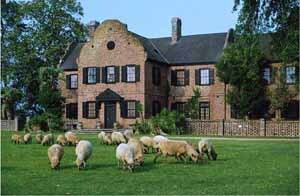 At this state historic site, you can see a life-sized reproduction of a 17th century cargo ship, or visit the natural habitat zoo showing animals populating the area during the time Charles Towne was settled. Charles Towne Landing is a great way (for kids especially) to learn about what original settlers in 1670 may have encountered in establishing their home in Charleston. Visitors can also explore the site's 80 acres of gardens and preserved woodlands. 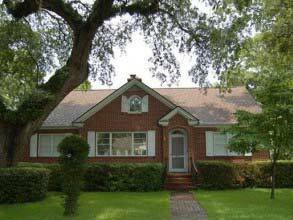 West Ashley real estate is priced substantially less than other homes located this close to downtown Charleston. West Ashley is often the suburb buyers choose if they want to live closer to Charleston and to the beach with the lower house prices typically found in areas further inland, like Summerville. The older section of West Ashley is the closest to downtown - located just over the Ashley River bridge. These homes offer an unbeatable location and also a charm that's hard to find with new construction homes today. These homes are ideal for buyers looking for houses with brick exteriors, larger lots, and mature landscaping (there are old live oaks scattered throughout this area). Although many of these homes have been updated, you'll still find plenty of homes for sale that need a good bit of work (mostly cosmetic). The majority of these homes were built from the 1930s to the 1970s. Most of the newer homes in West Ashley are located past Hwy 526, so they're about a 20 minute drive from downtown Charleston and 25-30 minutes from Folly Beach. You'll find large national builders like Beazer, Centex, Ryland, and Portrait developing these master planned communities. This section of West Ashley is ideal for buyers wanting newer houses with more square footage and neighborhood amenities like swimming pools. The newer section of West Ashley is known for having some of the lowest prices per square foot in Charleston County. 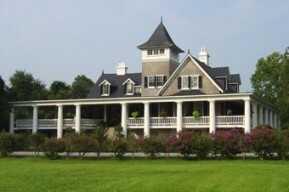 The only golf course in West Ashley is at Shadowmoss Plantation, located off Hwy 61. 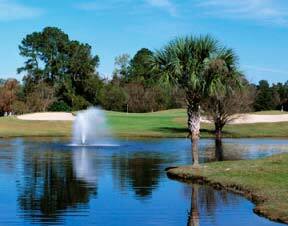 Shadowmoss is a great option for buyers wanting affordable golf real estate close to Charleston. In fact, it's one of the few golf course communities in Charleston where you can find homes for sale priced under $200K. This neighborhood was mostly developed in the late 1980s and 1990s, although you'll find a few newer construction homes in the subsection Middleborough Estates. Other amenities in Shadowmoss include a pool, tennis courts, club house, and fitness center. Named because of its location adjacent to the Ashley River, West Ashley has acted as a suburb for the greater Charleston community for much of the twentieth century. However, its history dates much further back, since Charles Towne was among the first of the southern colonial settlements in the late 1600s. Today West Ashley is a progressive and transitional area of Charleston County, and one with a wide range of home styles and prices. As one of the larger commercial centers of Charleston County, West Ashley is connected to Charleston's other suburbs by several major highways. Running due west from downtown is Highway 17 (Savannah Highway), and heading northwest from that same starting point is Highway 61 (St. Andrews Highway/Ashley River Road). Intersecting these two major highways several miles out is Interstate 526, creating a triangle of commerce and development within West Ashley. You'll drive through several distinct districts from the area immediately adjacent to downtown to the farms of rural West Ashley some thirty minutes away. Beginning with Old West Ashley, this location is uniquely situated beside both Ashley River as well as downtown. Real estate in this area is an eclectic mix of residential homes and mixed-use businesses, clustered primarily in established older neighborhoods. Homesites in Old West Ashley are most commonly 1960s single-story brick ranch houses located amidst old growth oak trees. The homes may seem modest, but prices for these houses are comparatively high because of their prime location. Continuing along Highway 17 will next lead to a small downtown section, complete with revitalized storefronts mixed with more recent development. While single family houses may still be found here, there are also apartment complexes and condo communities with a more price-conscious alternative. From this area on, Highway 17 and Sam Rittenberg Blvd shift primarily to high density commercial, with plenty of shopping and entertainment options such as Barnes and Noble, Citadel Mall, and PetSmart, to name a few, until gradually returning to low-density residential in rural West Ashley. Highway 61, on the other hand, has maintained a more even balance between commercial and residential development. Large scale developments of new homes can be found within easy driving distance from shopping and entertainment, with the added bonus of lower costs per square foot than can be found in much of West Ashley. This area is also home to one of the newest hospitals in Charleston, Bon Secours St. Francis.